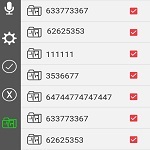 -Auto call recording or call recorder is a useful app that helps you recording calls. 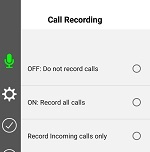 -‬The auto call recording app is available on all android devices build 5.0 or later. -‬The call recording app doesn't need Internet connection. -‬The call recorder files are saved only on your device, you can share the call recording files via the web or other apps. -‬You can record call with unlimited duration of time at no charge. 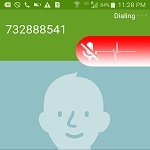 -‬Auto call recording works in 2 ways, manually record call or auto record call. -Call recorder, record calls, call recording, phone call recorder, record call. -In case of recording issue, please restart your device once and make sure no other call recording is enabled or installed in your device. *Users must comply with laws & regulations in their respective countries (e.g record a call with other party consent) . *The app won’t work if you already have another call recording app! please keep one call recording app in your device. And make sure you restart your device after uninstalling other recording apps.